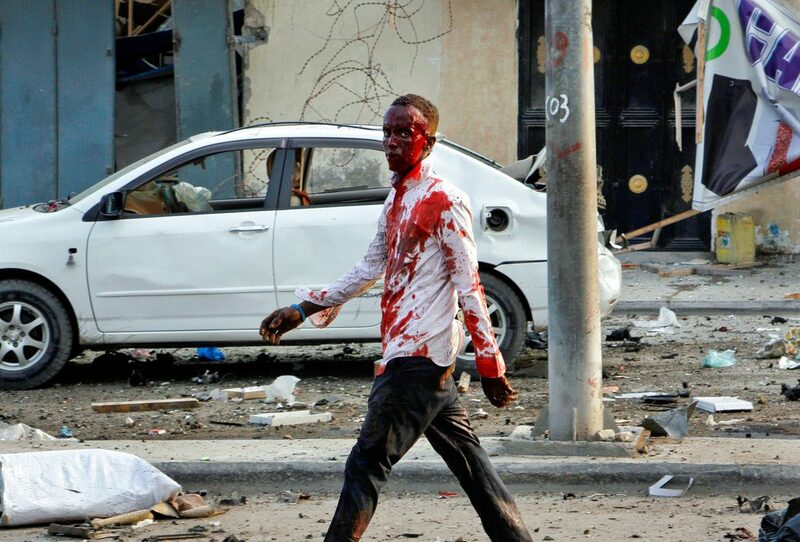 The scene following twin auto bombs that exploded within moments of each other in Mogadishu. "Four militants who attempted to enter the hotel were shot dead by our police and the hotel guards", police captain Mohamed Ahmed told Reuters. "We targeted it because it acts as government base".